Located in Friedrichshafen, Hotel Restaurant Waldhorn is on a lake, a 5-minute drive from Strandbad Friedrichshafen and 6 minutes from Schulmuseum. 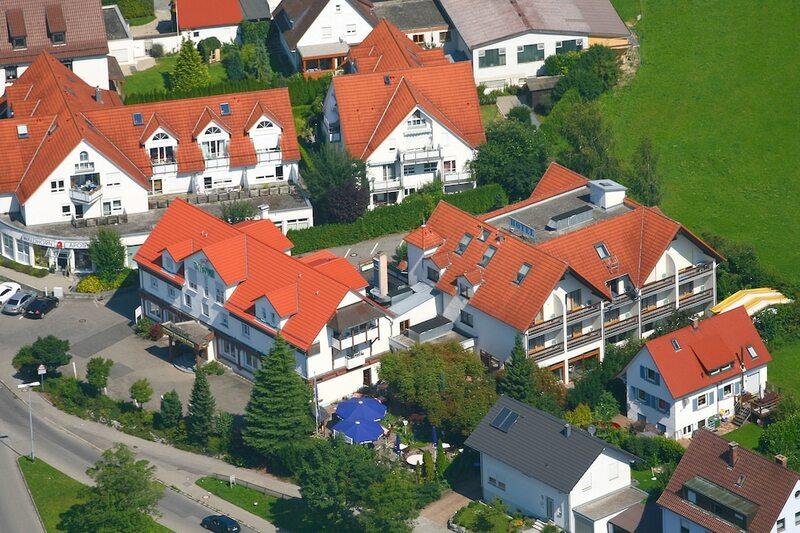 This hotel is 15.5 mi (24.9 km) from Mainau Island and 14.4 mi (23.2 km) from Affenberg. Make yourself at home in one of the 41 guestrooms featuring minibars and LED televisions. Complimentary wireless Internet access keeps you connected, and cable programming is available for your entertainment. Bathrooms have showers and hair dryers. Conveniences include phones and desks, and housekeeping is provided daily. At Hotel Restaurant Waldhorn, enjoy a satisfying meal at the restaurant. A complimentary buffet breakfast is served daily from 7:00 AM to 10:00 AM. Featured amenities include complimentary newspapers in the lobby, multilingual staff, and a safe deposit box at the front desk. Planning an event in Friedrichshafen? This hotel has facilities measuring 753 square feet (70 square meters), including a meeting room. Free self parking is available onsite.